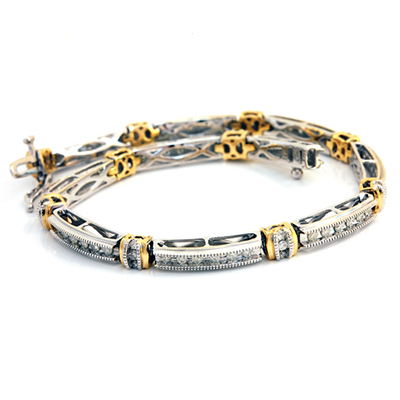 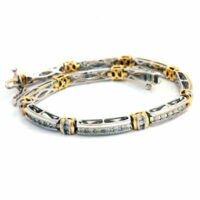 The beauty of this two-toned 14K gold diamond bracelet transcends time. 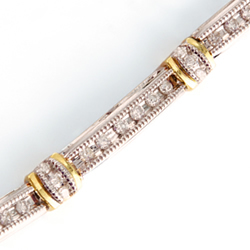 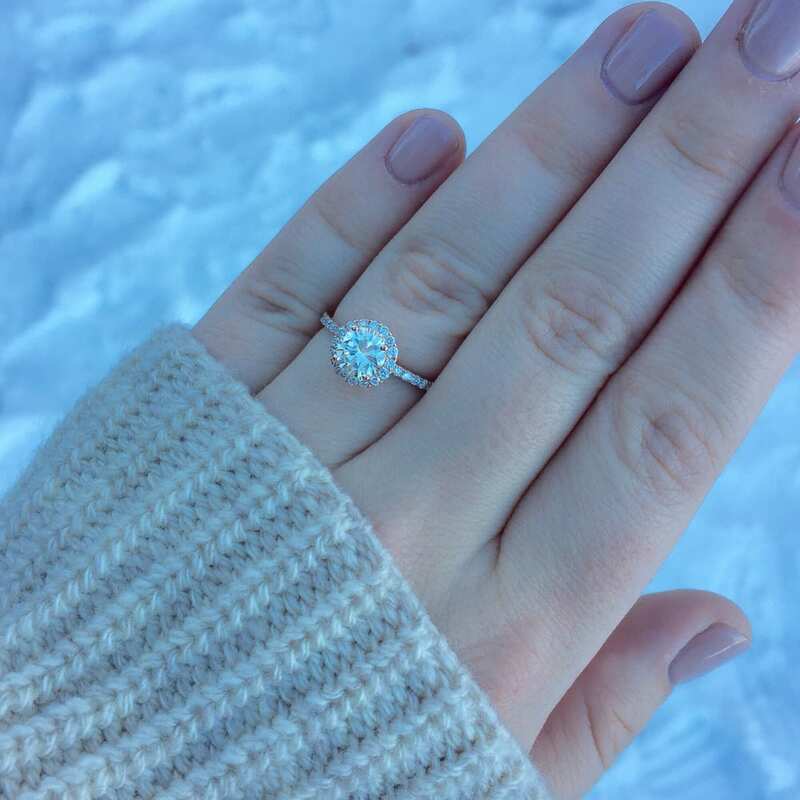 A yellow gold ribbed pattern divides links of expertly set diamonds. 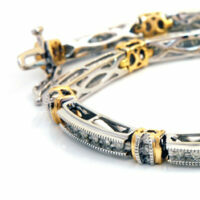 Diamonds: 90 round diamonds weighing approximately 1.00 carats.